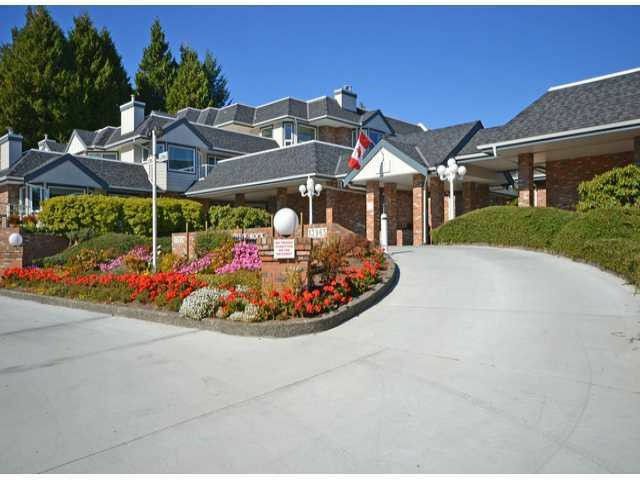 Bright and private east facing ground floor unit with a beautiful, walk out, garden patio. 2 bedrooms or one bedroom and den with two full bathrooms. Efficient kitchen with new counter tops, fresh paint throughout and upgraded tile andmaple floors. A renovation was completed, by the strata, in 2009 including rain screen, siding, roof, windows, deck and exterior doors. Shows like a new. Amenities include rooftop deck, sauna, lounge, library, wood shop and beautiful gardens. 55+ age restriction and no pets. Available for immediate occupancy. Convenience and ease of living are prominent in this fabulous home!